Destinations in Croatia don’t get much more popular than the seaside city of Split. 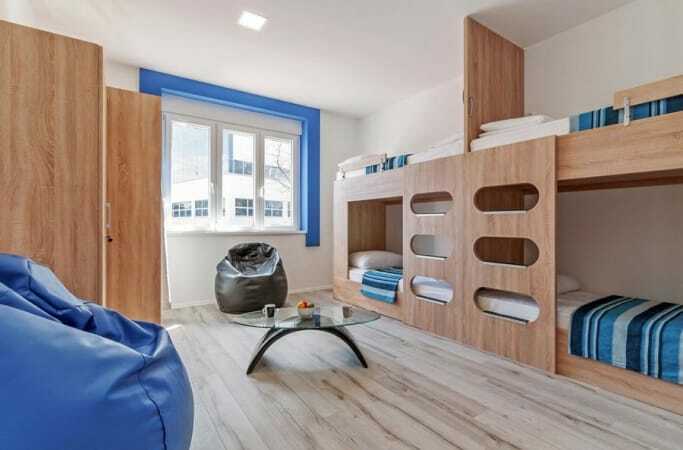 Not only is Split the perfect place for few days sightseeing, it’s an ideal place to base yourself as you explore Croatia’s Dalmatian coast and islands. From Split you can head in nearly any direction on a day trip and uncover somewhere new and amazing. The things to see in Croatia outside of Split could be other cities, national parks, or Adriatic island getaways. 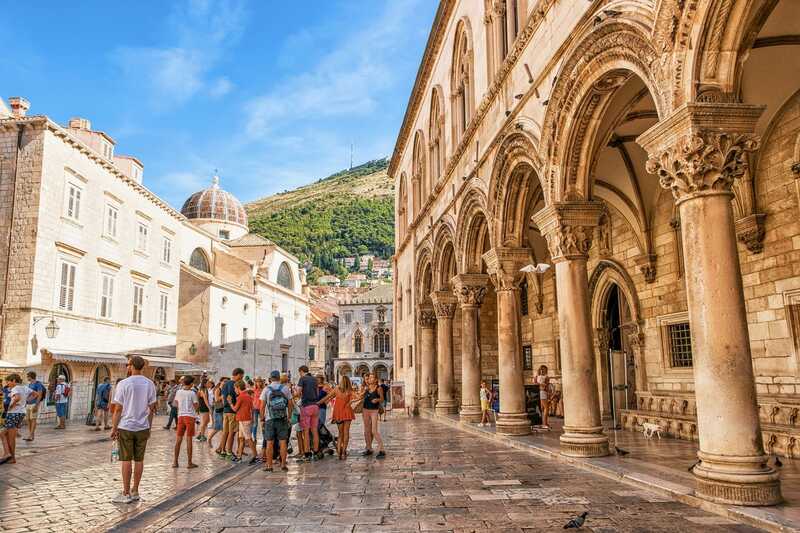 What’s nice is that they can all be explored from the comfort of Split, making it no surprise that Split is a must see on any Croatia itinerary. So that you’re not aimlessly venturing out, here are some recommendations for the very best day trips from Split. People love to visit the islands of the Adriatic Sea when they come to Croatia, and the island of Hvar is the perfect place to start. 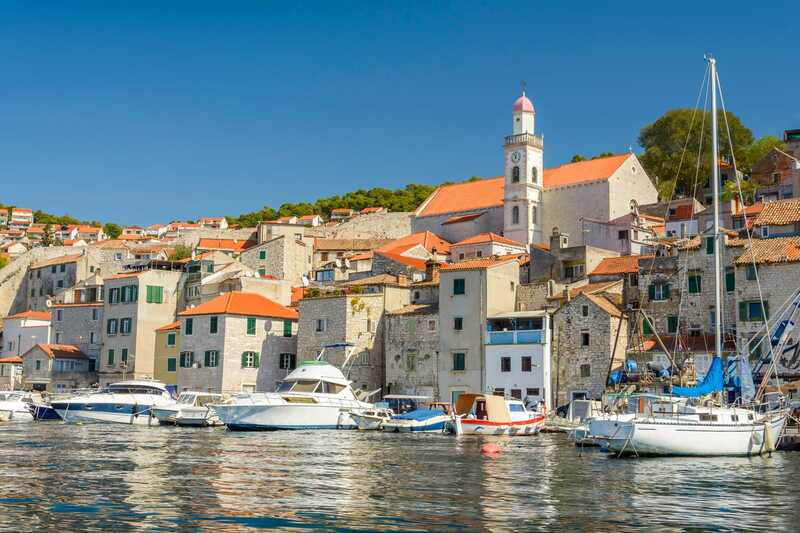 As one of the best Split day trips to take by boat, a visit to Hvar is ideal if you want to balance sightseeing with some time on and in the warm Adriatic water. 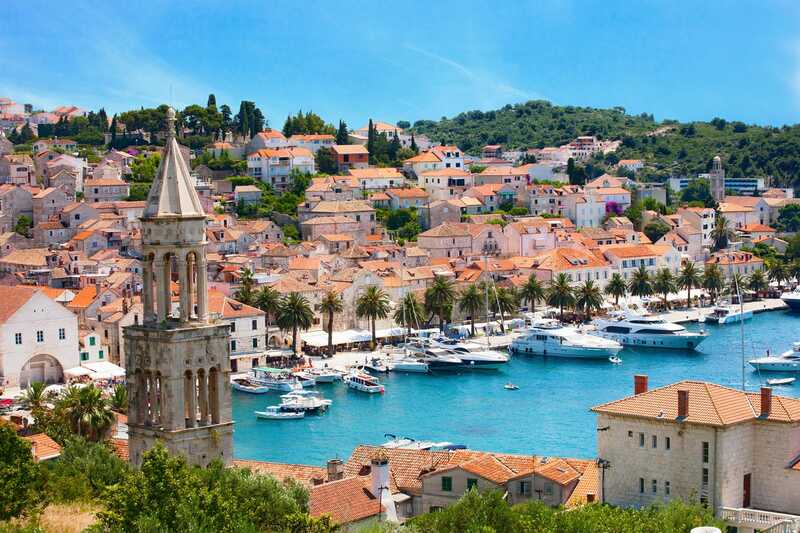 Cruising out to the island, you’ll want to see historic Hvar Town and soak up its idyllic island atmosphere. Sights to see here include the Cathedral of St. Stephen, the Hvar Public Theatre, and the views from the Fortica fortress. If you have more time on Hvar, and want to see more great scenery, visit the island’s other charming towns, such as Stari Grad and Vrboska. Alternatively, head over to the Pakleni Islands in secluded island bays. Getting there: While there are ferries that connect Split and Hvar Town, the best way to combine sightseeing in Hvar with some open water swimming is with this full day cruise. 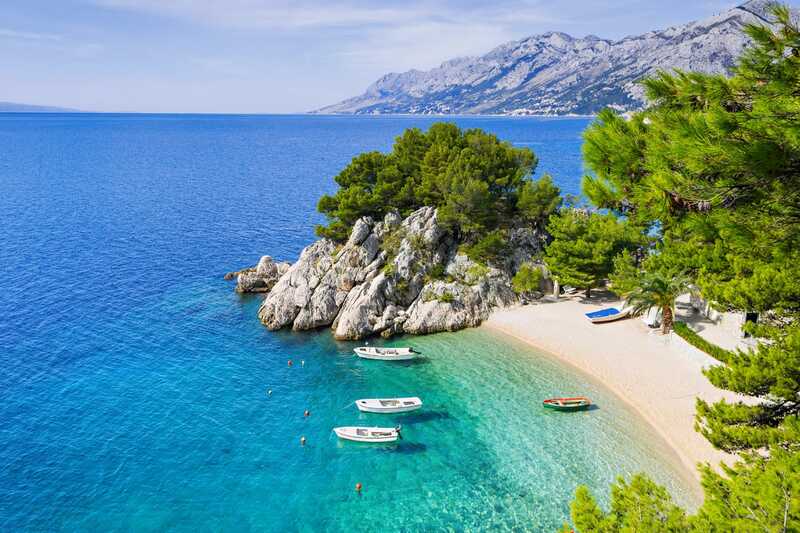 Among the many small islands that dot the Dalmatian coast near Split, one that has grown quite popular with visitors is the island of Biševo. Out past Hvar, this small island has become one of the most common day tours from Split, thanks to the incredible Blue Cave found there. 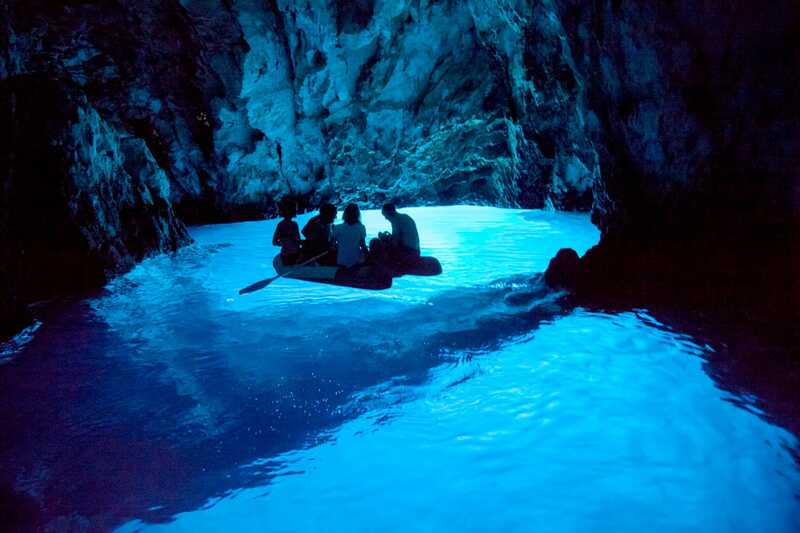 Found on the island’s east coast, the Blue Cave is a flooded sea cave which you can take a boat into. What makes this cave special is that light comes up through the water, illuminating the cave in an extraordinary blue glow. Unfortunately, you can’t swim in the cave due to safety reasons. Getting there: To fill a day around visiting Bisevo, it’s best to hop aboard this island cruise which brings you to the Blue Cave among other beautiful Adriatic islands, like Vis and Ravnik. If you’re looking for a beautiful coastal town like Split, but one that’s less busy, then a trip to nearby Trogir is in order. 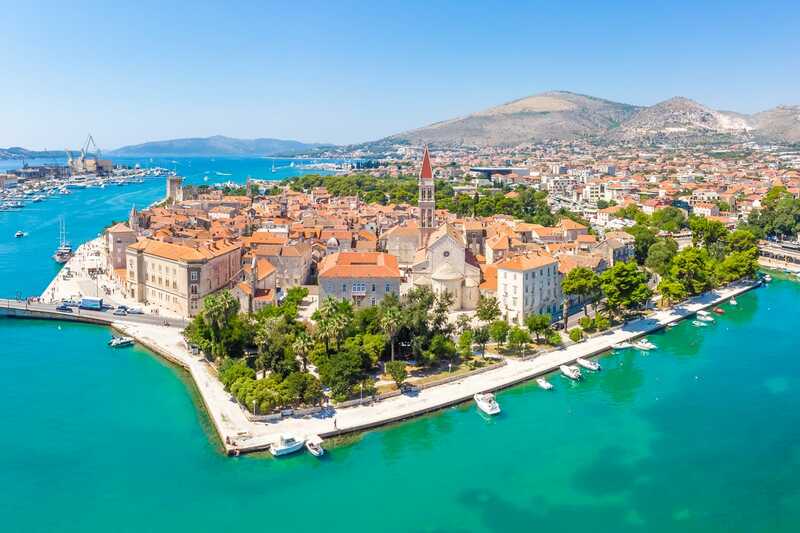 In some ways the island Old Town of Trogir is similar to Split, with its splendid Venetian architecture and pretty waterfront lined with palm trees. But Trogir isn’t heaving with tourists quite like Split, and once you delve into its web of stone streets, it can be quite a peaceful place. Don’t miss a visit to Kamerlengo Castle by the water, for its sense of history along with the spectacular views from its walls. 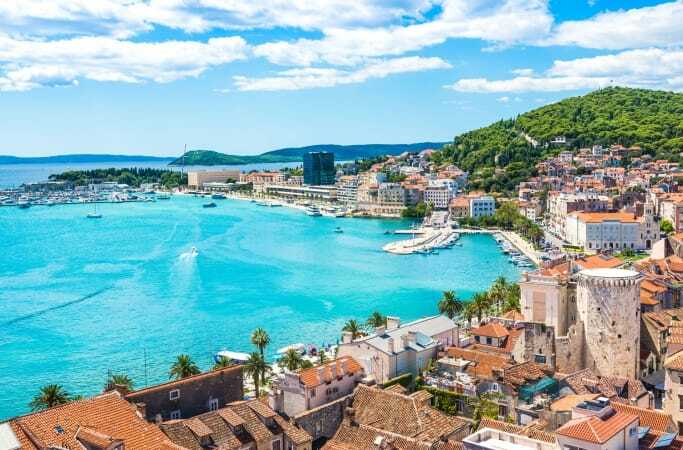 Trogir is also known for its beaches, with visitors often making a beeline for Rozac Beach and Okrug Beach on the next island over past the marina. Getting there: Trogir is just a short trip from Split, lying due west from the city along the coast. The easiest way to get there is by taking a 45 minute ride on one of the regular buses between Split and Trogir. As nice as the Croatian coastline is, some of the best places to visit from Split are actually found in-land. 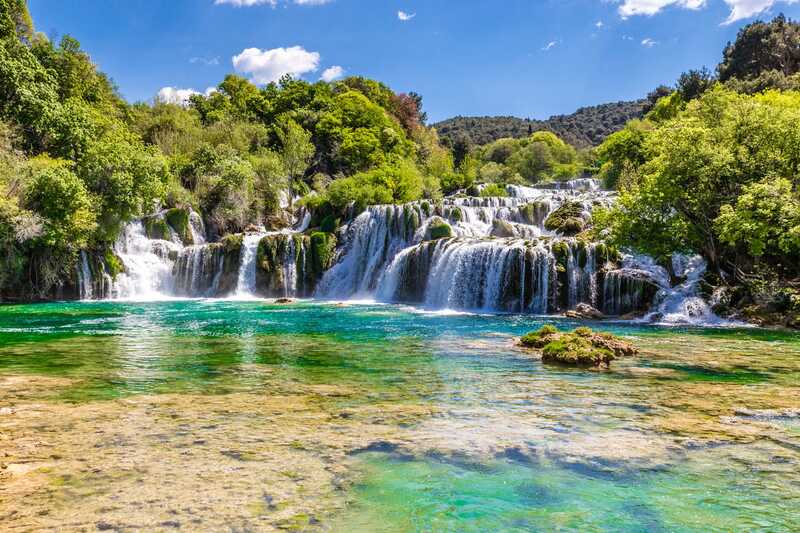 Krka National Park is one of them, and is home to seven enchanting waterfalls and an abundance of beautiful nature. Sightseeing around the park, you can see wonderful scenes like the Skradinski Buk waterfall and Visovac Island. Even better, you can swim in the freshwater pools below the waterfalls, like at Roski Slap waterfall. There are also all the wonderful nature hiking trails which dot the national park. The small stone houses and watermills found throughout the park only make Krka National Park all the more fantastical. Getting there: To reach Krka National Park on public transport, you first need to get the bus to the village of Skradin, which takes 1 hr 15 minutes. From there you can either walk 5km or take a boat ride to the falls which is included in your park ticket. However for a simpler and more stress-free approach, it’s easier to visit with a guided day tour. 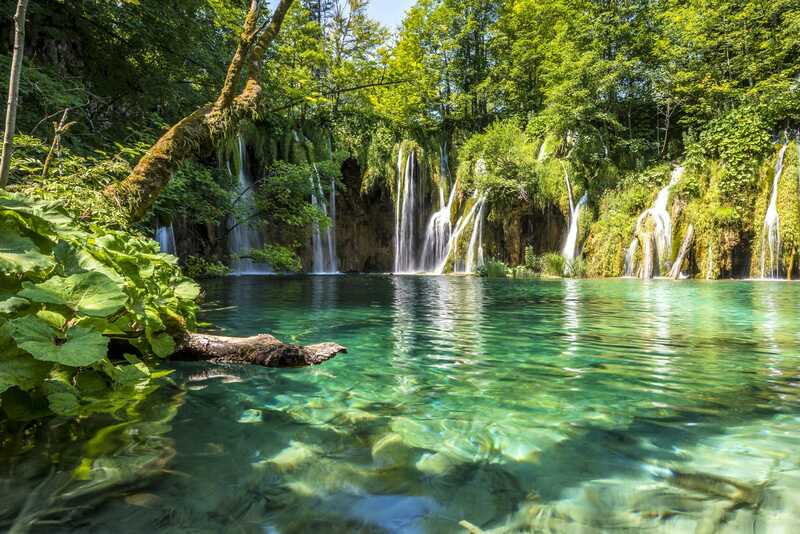 Croatia’s other famous waterfall destination, Plitvice Lakes National Park, lies a fair bit further from Split but is still very much worth the visit. Inside this vast national park near the Dinaric Alps, you’ll find a canyon where 16 lakes cascade from one to the next via a series of waterfalls. There’s much to admire at Plitvice, like the Veliki Slap waterfall, and the park offers visitors plenty of opportunities to get around and see it all, from strolling on boardwalks to more demanding hikes, as you seek out one view after the next of this beautiful series of lakes. And while you can’t swim in these lakes, a boat ride across Lake Kozjak is the next best thing. Getting there: With buses taking 3.5 hours to get from Split to Plitvice Lakes, the park is right on the boundary of what is reasonable for a day trip. A better way to go to ensure you don’t miss out on seeing the park is by taking this guided tour there. As a visit to Mostar will prove, there’s no reason that the best side trips from Split necessarily have to be within Croatia. 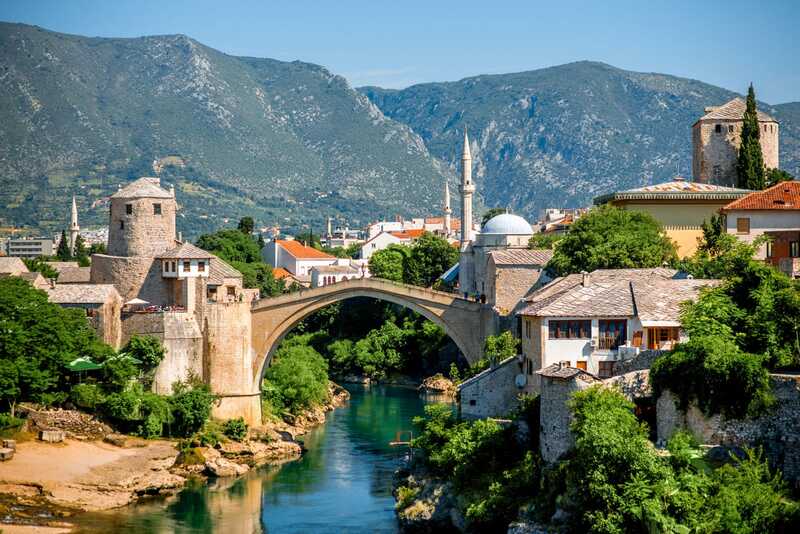 Located across the border in Bosnia and Herzegovina, the historic city of Mostar allows travellers to get a taste of the country in a quick and easy day trip. Starting with the city’s atmospheric Old Town, most people rightly head straight for the iconic Stari Most bridge. It’s from this bridge that you can watch brave locals dive into the Neretva River below in what is a local tradition of sorts. Next, move on through the shops and stalls of the Old Bazaar to see the Koski Mehmed Pasha Mosque and appreciate its views of Mostar’s cityscape. With enough time, consider including nearby stops like Blagaj Monastery and Medjugorje in your jaunt across the border. Find out more about Mostar in our dedicated Mostar guide. 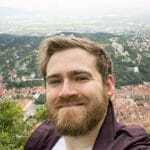 Getting there: To make a day trip to Mostar, and also fit in multiple stops in Bosnia and Herzegovina, a guided tour to Mostar is the only sensible way to go. Public transport is going to take too long, and driving yourself means taking the time to navigate and will cut down on actual sightseeing time. 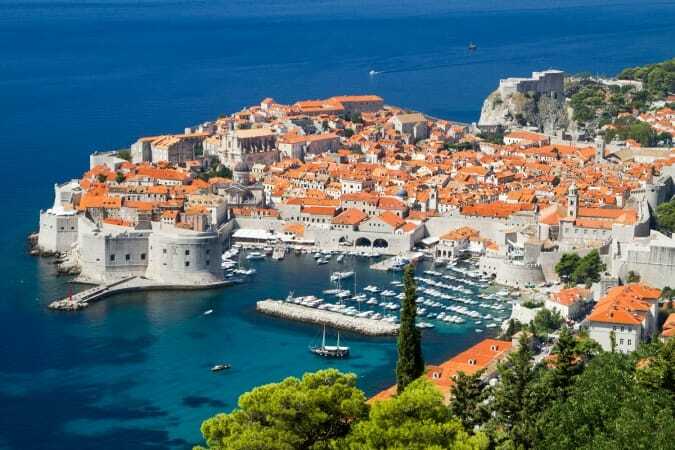 Easily one of the best places to visit in Croatia, Dubrovnik is another gorgeous and historic city on the country’s Dalmatian coast. Recently made famous as a filming location for Game of Thrones, there’s much more to this destination then that. Start your visit with a walk down Stradun, the main street of the city which is made of limestone. As you take in exquisite Venetian architecture, stop to see the eye-catching St. Blaise Church and the refined Sponza Palace. If you can, be sure to spend some time exploring the exhibits in the Franciscan Monastery museum. After a walk up one of the city’s many long staircase streets, make your way up onto the city walls for some superb views, both across Dubrovnik’s orange tiles, as well as out to the blue waters of the Adriatic. Then stop for a drink at one of the cliffside bars which sit just outside the city walls. Getting there: Unfortunately, Dubrovnik is too far away to reach by ferry or public transport. To really see the city as a day trip, it’s best to take a guided tour which can show you exactly what to see and do. For those craving a little adventure as they explore beyond Split, Cetina River is the place to go. Off in the highlands, near the border, Cetina River is the perfect destination for fun outdoor activities. If a quiet paddle along the river is what you have in mind, then consider taking a gentle canoe safari. Much more adventurous is river rafting which will take you down some second and third grade rapids, and is sure to get your heart beating. Our absolute favorite thing to do there, however, is canyoning. 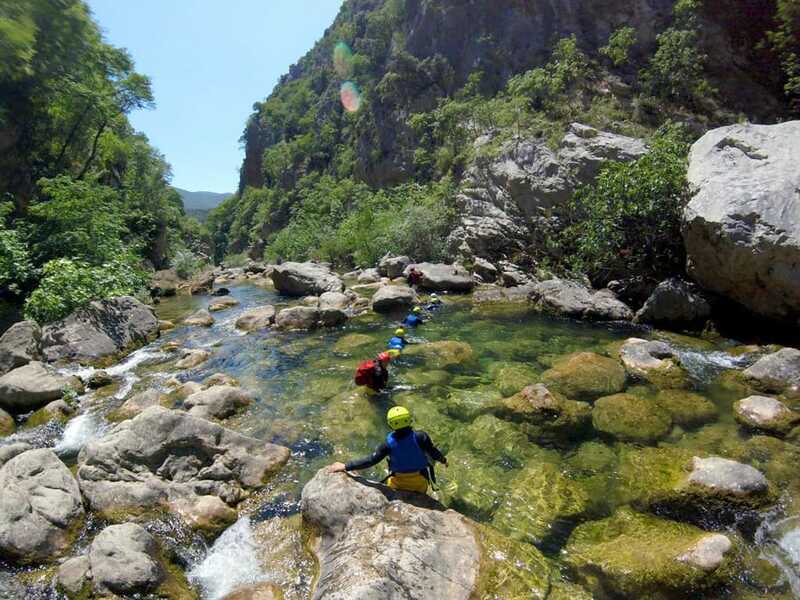 You can read more about our canyoning adventure here. Getting there: Tours are the best way to visit Cetina River, since you’re going to need to hire instructors and gear anyways for whichever activities you choose on doing. That being said, the river is only a 40 minute drive out of Split if you are only looking to go for a hike. One last island trip to consider from Split is to Brac, one of the closest islands to the city. But Brac isn’t just a good choice because it’s close, it’s because a visit here combines superb coastal scenery with plenty of time for swimming. 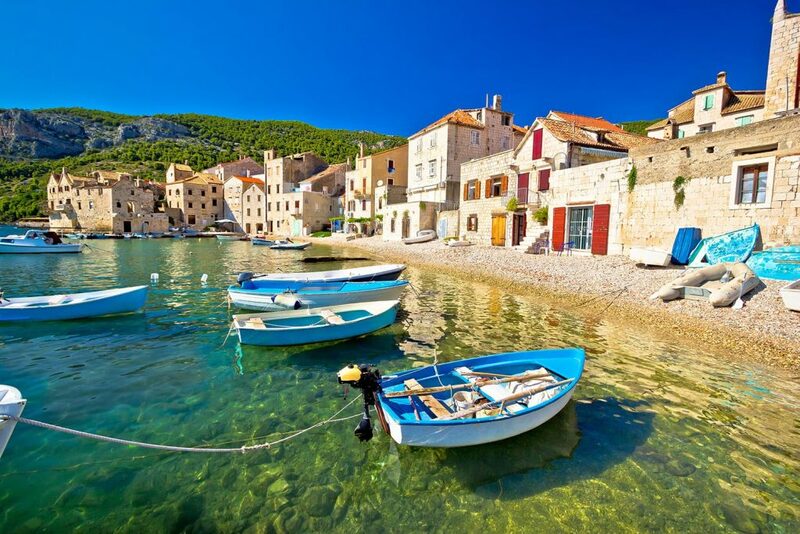 After cruising over to the island, start by exploring idyllic coastal towns and villages like Supetar and Bol. Then head over to the wonderful vineyards which stretch along the south coast, and the island’s highest point Vidova Gora for its sweeping views. From there, head down to Golden Horn Beach, Brac’s best known beach for swimming and sunbathing. More cruising about the Adriatic will lead you to several truly memorable swims at various secluded bays, including Lučice bay. Getting there: While there is a car ferry which connects Split with Supetar on Brac, for a complete island experience including swimming, a full-day catamaran cruise is the way to go. The next major city up Croatia’s coast from Split, the city of Sibenik, has plenty to offer visitors, despite being overshadowed by other coastal destinations. A city with a lot of history to it, Sibenik sets itself apart by being the oldest coastal city founded by Croatians. Begin your visit by first seeing the St. James’s Cathedral, a UNESCO World Heritage Site thanks to its architectural and cultural importance. Wander the streets of Sibenik’s Old Town, admiring the Venetian buildings as you go. Later, head up to St. Michael’s Fortress or go even further up the hillside to Barone Fortress for panoramic views over the city. Getting there: Sibenik is one of the few easy train trips from Split, with the journey taking 1 hour 45 minutes. Buses take about the same amount of time and run fairly regularly. If you want to combine Sibenik with nearby Krka National Park, a group day tour is your best guarantee to fit it all in. You shouldn’t have any problem finding things to do now with your extra time in Split. As great as it is to explore the sights of Split, the city also makes a great base for exploring more of Croatia and beyond.